When according to Alzheimers Research UK we know that 1/3 of Britons born in 2015 will develop dementia, we cannot remain inactive but need to act. Dementia is a chronic inflammatory condition that starts 10-20 years before you develop memory problems. You can do quite a lot to prevent it happening and/or to reverse or slow down memory decline. Patients with acute illnesses such as infectious diseases, or with other chronic illnesses, such as cardiovascular disease, osteoporosis, human immunodeficiency virus infection, and even cancer, have access to more effective therapeutic options than do patients with Alzheimers disease or other neurodegenerative diseases such as Lewy body dementia, fronto-temporal lobar degeneration, and amyotrophic lateral sclerosis. In the case of Alzheimer's disease, there is not a single medicine that exerts anything beyond a marginal, unsustained symptomatic effect, with little or no effect on disease progression. Furthermore, in the past decade alone, hundreds of clinical trials have been conducted for AD, at an aggregate cost of billions of dollars, without success. This has lead me to question whether the approach taken to drug development for AD is an optimal one. In my view it clearly isnt optimal to treat a complex condition which develops typically in an ageing body with a linear approach. Narrow perspectives typically lead to poor outcomes. Alzheimer's doesn't have to be your brain's destiny, says neuroscientist and author of "Still Alice," Lisa Genova. She shares the latest science investigating the disease — and some promising research on what each of us can do to build an Alzheimer's-resistant brain. In her TED Talk she explains some of the things you can do to become resilient to the development of Alzheimers and build an Alzheimers resistent brain. Dementia is an umbrella term for progressive memory loss. It describes the symptoms that occur when the brain is affected by certain diseases or conditions. There are many different types of dementia although some are far more common than others. They are often named according to the condition that is thought to be causing the dementia. 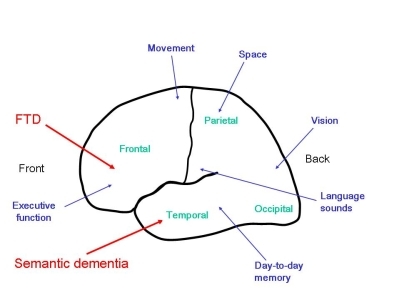 In practice vascular dementia and Alzheimer's disease, despite the fact that the two organic disorders have different causes, can be difficult to tell apart clinically and are sometimes misdiagnosed since we cant be 100% sure unless we look at the brain under a microscope. Clearly that is not practical. ​Vascular dementia and Alzheimer's disease in fact often coexist and the condition is then called 'mixed dementia'. Symptoms may include memory loss and difficulties with thinking, problem-solving or language. The diagnosis is generally made following a comprehensive assessment by a specialist service. Diagnostic tools include CT, MRI and PET scans, blood tests and also neuro-psychological testing. There are many rarer diseases and syndromes that can lead to dementia, dementia-like symptoms or mild cognitive impairment (i.e Parkinsons, Creutzfeldt-Jakob disease, normal pressure hydrocephalus, hypothyroidism and others). Having strong blood vessels is important for preventing a variety of health conditions ranging from the relatively minor issue of varicose veins to hemorrhoids to the potentially lethal aneurysm and vascular dementia. You can insure the strength of your own blood vessels by making sure to regularly consume the following healthful foods and nutrients. One phytonutrient particularly helpful for increasing blood vessel strength is quercetin. Quercetin is found in onions, and is particularly concentrated in the skin. Quercetin is also found in apple skins, berries, and red wine. It is best to eat foods containing this nutrient raw to keep the quercetin intact. Another group of compounds that promotes strong blood vessels are oligomeric procyanidins. These compounds decrease blood vessel fragility and permeability These compounds are particularly concentrated in Spanish peanut skins. So, enjoy the peanuts and leave the skins on. A flavonoid called rutin is also particularly helpful in promoting vein integrity. Like the oligomeric procyanidins in spanish peanuts, rutin helps reduce blood vessel permeability. Rutin is especially concentrated in lemon peel and other citrus fruits, berries, apricots, and buckwheat. Vitamin C is also very important for strengthening blood vessel walls. Vitamin C is mainly found in citrus fruits, some other fruits, and some veggies. It is probably a good idea to supplement with a higher dose of vitamin C of at least 1000 mg a day as it is hard to obtain such a high quantity from diet alone. Beta-carotene is also particularly powerful for maintaining strong blood vessels. Find beta-carotene in carrots, sweet potatoes, butternut squash, pumpkin, and red palm oil. You should also make sure to get plenty of vitamin E in your diet from sources such as avocados, sunflower seeds, almonds, olive oil, and red palm oil. Some potent herbs for strengthening blood vessels include Ginkgo Biloba, Hawthorn, Butcher's Broom, Bilberry, Gotu Kola, Oregano, Green Tea, Garlic, Aronia Berries and Lavender which relaxes blood vessels. In addition to adding these nutrients and herbs to your diet, you should also avoid foods that can aggravate and weaken your blood vessels. Avoid excess salt, sugar, processed animal proteins, fried foods, alcohol, and trans fats. On top of all the dietary changes you make, you should implement moderate daily exercise to further help tone your blood vessels and improve cardiovascular health. Good options include hiking, walking, moderate intensity cycling, rebounding, swimming, yoga, and general stretching. All in all, if you want to maintain strong, healthy blood vessels you need to take a holistic approach to your health. Emphasize the above mentioned nutrients while generally avoiding the obviously unhealthy foods. And no healthy lifestyle is balanced without regular, moderate exercise and leading a purposeful life. Under Your Nose : A New Approach to Dementia and Alzheimer’s - Using an affordable low level light therapy device (810 Infrared) to energise brain cells in the midbrain area. Shown to increase ATP, to improve circulation, serotonin and immunity, turns on stem cell production and lowers free radicals. Science and evidence from clinical investigations into low level light therapy support intranasal light therapy with a link on this website. Extracellular plaques of amyloid b peptides (Aβ), a hallmark of the disease, have been postulated to be more protective than damaging in terms of oxidative stress because they may be chemical sinks in which heavy metals are placed. See also 2 documents under Dementia in Articles section. Studies with MFT (magnetic field therapy) (International Journal of Neuroscience, 76 (3-4), June 1994, pp.185ff) have proven that Alzheimer's patients showed a definite improvement after MFT, especially in the area of visual memory. There were also improvements in other cognitive functions, including the ability of these patients to orient themselves in space, their mental/emotional condition, ability to make social contact and short-term memory. After strokes, normally the MRS (magnetic resonance stimulation) is immediately used to supply better circulation and oxygen, rejuvenating the injured nerve. It is done with high intensities in the morning - lower in the evening. I use this mat. Since Alzheimer's involves the death of a large number of nerve cells in the brain, MRS cannot reanimate dead nerve cells, it can, nevertheless, retard the process of brain cell death because of better oxygen utilization which restores cells with restricted function. Magnetic resonance stimulation provides a calming as well as energizing effect and assures a better life quality. Since dementia is not a single disease, but a non-specific syndrome (set of signs and symptoms) any improvement depends on the nature of the underlying metabolic process. has a regulatory effect on the body's metabolism and can improve all over life quality. Please do not misunderstand, it will not reverse the damage done, but will definitely slow down its progress through improving metabolic processes. Even though PEMF treatment can not reanimate dead nerve cells, it can nevertheless retard the process because better utilization of oxygen, - even for the nerve cells in the brain - restores the functioning of cells with restricted function . In balancing the automatic nervous system, magnetic field therapy creates a calming effect through creating more coherence in a chaotic field of energy. HRV can be measured with the use of the iMRS . This provides us with a screening tool to predict significant changes in many disease processes. Many healthcare specialties have adopted HRV. In diabetes and heart disease it is a stable, repeatable and proven predictor of long term outcomes and patient prognosis. In healthy individuals the HR is variable. It fluctuates. Greater variability (or HRV) correlates with better health. Higher HRV indicates a healthy autonomic nervous system, and in particular, healthy balance between the sympathetic and parasympathetic systems. A decreased HRV is an early, accurate indicator that the autonomic nervous system is out of balance. The lower the HRV, the greater the imbalance in autonomic control and the greater the likelihood of poor health, both now and in the future. PubMed Publication: Effects of low versus high frequencies of repetitive transcranial magnetic stimulation on cognitive function and cortical excitability in Alzheimer's dementia. Is Neuro-Regeneration a Reality? For generations, the prevailing medical wisdom has been that neurodegeneration is irreversible, and that adults simply cannot re-grow lost or damaged neurons. It turns out that prevailing medical wisdom may be wrong. 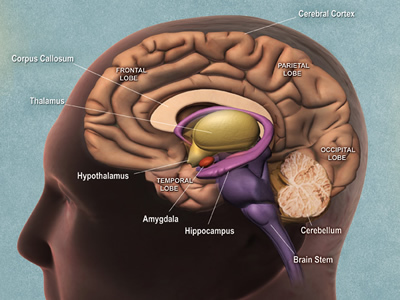 Most of the changes seen in AD, such as inflammation, brain cell atrophy, immunological aberrations, amyloidogenesis, altered gene expression and cognitive deficits are also seen as a consequence of microbial infection. There is currently much interest in the ability of GI tract bacteria to influence host innate-immune, neuroinflammatory-, neuromodulatory- and neurotransmission-functions. While potentially pathogenic GI tract microbes are kept in check by a homeostatic commensalism, their increased abundance has been associated with diseases that include anxiety, autoimmune-disease, diabetes, metabolic-syndrome, obesity, and stress-induced and progressive neuropsychiatric diseases including autism, schizophrenia and AD.